specialist areas to address the broader curriculum with our students. Education programs of the school. Family engagement in the children’s learning is very important to all the staff and parents of our school. at home with advice and resources. 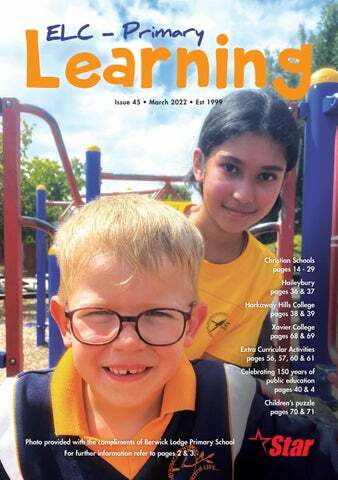 string(28) "St. Stephen's Primary School"
string(334) "We are clearly focussed on maximising our student outcomes. string(31) "Wheelers Hill Secondary College"
string(785) "World class student management system closely linked to our House System. High level of student connectedness and student safety. Excellent VCE results with students excelling in a wide range of subject areas. 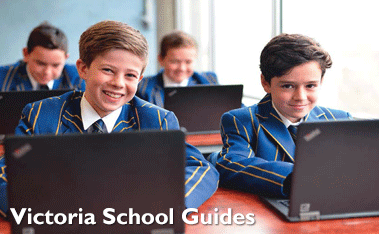 Consistently achieve the highest mean study score in Yarra Valley state schools. Diverse curriculum, including over 40 electives to choose from in Years 9 & 10. Strong links with Tertiary training centres through our VET and VCAL program. to continually improve teaching and learning outcomes. string(5117) "If you have a passion for the sciences, love a challenge and welcome every opportunity to learn, this is the school for you. John Monash Science School (JMSS) is Victoria’s first specialist science school focusing on science, mathematics and associated technologies. 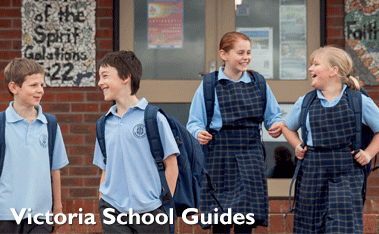 The school accommodates 640 students from Years 10, 11 and 12 (VCE) from all over Victoria. Since opening to senior students in 2010, JMSS has quickly become one of Victoria’s most innovative and academically highest performing schools. Teachers and students work together on the big questions that science can help answer, in a dynamic, technology-rich environment where curiosity and passion are key. We warmly welcome applications from prospective students to join us in either Year 10 or Year 11 in 2018. More information is available at www.jmss.vic.edu.au/admissions. We provide a rich science-based curriculum, and we also firmly believe in educating the ’whole person’, developing leadership, initiative and perspective in our graduates. Our work is underpinned by UNESCO’s four pillars of education – Learning to Know, Learning to Be, Learning to Do and Learning to Live Together. The close-knit, supportive and welcoming environment evident at JMSS is the result. In order to achieve its aims JMSS has formed strong partnerships with researchers and academics in a broad mix of scientific fields at Monash University and CSIRO, sharing resources and expertise and ensuring the courses offered at JMSS are challenging, contemporary and relevant. Co-constructed with Monash academics, the curriculum at JMSS allows students to explore the cutting-edge of scientific knowledge and understanding in the areas of physics, chemistry, biology, earth science, mathematics, engineering, biomedical science, geography and computer science. 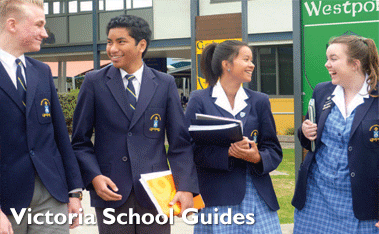 Throughout Years 10 to 12 the school has implemented the Victorian Curriculum and the Victorian Certificate of Education (VCE). Every Year 10 student undertakes an extended science research project, and exhibits their poster at the annual JMSS Science Fair in October. Most VCE studies are offered. Many students access a university extension subject on the Monash campus alongside traditional Year 12 subjects. Every student has access to a range of co-curricular options including languages, music, the arts, IT, community service, leadership and sport. JMSS believes in a holistic education for all students, and the strong focus on personal wellbeing and empowerment, physical activity and leadership development is a feature of life for students at the school. The school runs many House events and other programs designed to build confidence, connectedness and spirit within the school community. The school has a well-developed Mindfulness program to build resilience in students. Student representatives form a student parliament with an active voice in school leadership and school community activities. The physical environment at JMSS is very different from traditional schools. Our laboratories and learning spaces are new, flexibly designed and ICT-rich. Flexible learning spaces enable students to learn individually and in teams. Most classes are team-taught with 2 teachers and up to 50 students. Students use any combination of laptops, tablets, iPads and smartphones to research, problem-solve, analyse, present and create digital objects as well as accessing references and resources from Monash University and beyond. All students develop individual learning pathways informed by their own interests and abilities. JMSS has a mission to provide opportunities in science for teachers and students across the state through our outreach programs. Our annual Regional Science Exchange program invites Year 10 students from regional and remote locations around Victoria to our school in Melbourne for a 3-week block. This allows regional students to be immersed in cutting-edge scientific enquiry, and experience hands-on workshops at Monash University. Our own students run science workshops for Primary students in our weekly “Little Scientist – Big Science” program which gives young students a chance to share their excitement for science and ask in-depth questions. Community members are welcome to join students, teachers, parents and Monash academics for our annual Science Fair in October. Year 9 and 10 students across the state can study one of JMSS’s emerging science electives online in live-time with our teachers via the ESV (Emerging Sciences Victoria) program – www.emsci.vic.edu.au. Study subjects such as nanoscience, biotechnology and astrophysics. An expanding number of teacher professional learning workshops such as Mathematica are available including face-to-face and online formats. JMSS is an executive member of the International Science Schools Network, a growing partnership of schools across the globe committed. Our reach and influence are now genuinely global, which is vital to develop the leaders and thinkers Australia so desperately needs now. Connect with us at www.jmss.vic.edu.au"
string(26) "John Monash Science school"
"Respect, Resilience, Integrity, Humour, Equality"